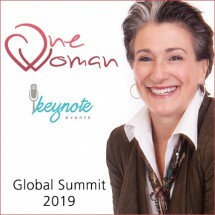 I am pleased to be speaking at the One Woman Global Summit. The topic: Four Skills Guaranteed to Bring You More Happiness. 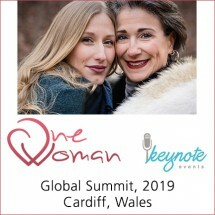 One Woman is a global social enterprise on a mission to help women and girls around the globe live their dreams and reach their full potential through education and entrepreneurship. One Woman is in the business of helping women start and build businesses, have access to education. One Woman provides support for not-for-profit organizations and charities that work to create a better quality of life for women around the world. 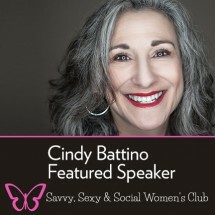 Topic: Four Skills Guaranteed to Bring You More Happiness with Cindy Battino. Join Cindy Battino for an intimate roundtable discussion about happiness in our lives. This group will be limited to 10 people. Each month I will present a different happiness skill. We will talk about how we can use that skill to take us further up the happiness scale. While we are talking about happiness we can enjoy a glass of wine. Tuesday nights it is 1/2 price bottles of wine at Gold Cup! 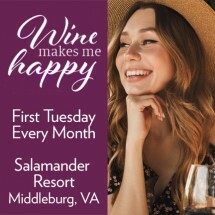 When: We meet the First Tuesday of Every Month! Cindy Battino has a history of serving and teaching in her community. She is a life coach, energy worker, dancer, personal trainer, speaker, author, life changer, and happiness expert; these are just a few words to describe Cindy. She helps people stand in their fierceness, feel enough and find happiness. About Our Host: Eva Scott is a licensed financial expert and coach who enjoys working with business owners and individuals throughout time. The purpose is to design a financial strategy, a plan and solutions that will match their wishes and dreams, from college savings to tax free retirement strategies to simply a better budget and cashflow management. Please note this event is for both Men and Women Members and Non-Members of SSS. Patricia is the Communications Manager at the Thales Foundation, Thales. The foundation aims to benefit society in the areas of education and humanitarian crises. Patricia has spent her career dedicated to human rights, from humanitarian development to international women’s rights. Her experience led her to join the European sector’s “tech for good” efforts. Patricia looks forward to launching her NGO; devoted to ending violence against women through digital tools. 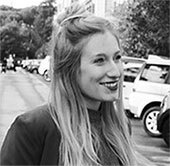 Ms. Seidel holds a Master’s Degree in Business Communications and Brand Strategy and currently lives in Paris, France. Divorce coaching is the single best investment I've ever made for myself and my children. I hired Cindy first, even before my attorney. Choosing a lawyer would have gone terribly wrong without Cindy's expertise. Divorce is an inexplicably horrible and crazy process; the BEST decision I made was to work with Cindy. She skillfully guided me through a vicious battle I wanted no part of. With Cindy's help, I held onto my heart and my values, protected myself and my children, and made it through with my integrity intact. The absolute last thing you want to do is make missteps in your divorce process... but how is anyone supposed to know how to manage this? I didn't know what I was going to do on so many levels. Well-meaning advice from loved ones can make matters worse. Cindy is a neutral, objective and experienced guide. With her support, I navigated this agonizing process with more grace than I ever imagined. Words cannot fully express my gratitude for her through this phase in my life. - K.D.